Unless we act now, deaths from extreme heat will become much more common as the globe warms. Does it feel like the heat is killing you this summer? Next year, that might be more than just a figure of speech. Two major new studies have documented how a warming world is creating a toxic new normal of heat-related death and disease in our daily lives. 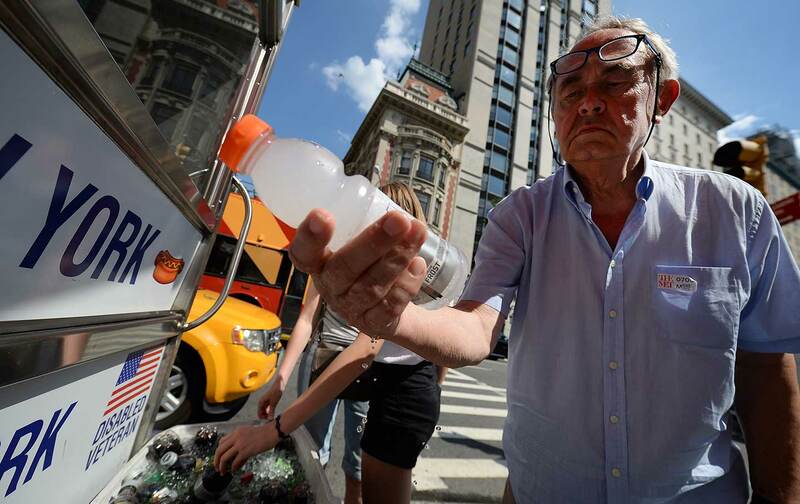 The Columbia University Earth Institute has analyzed patterns of deaths caused by climate change in the urban environment and calculates that the average New Yorker’s grandchildren will be 50 times more likely to die of a heat-related illness than they are. The study finds that, under the business-as-usual climate-change scenario, “as many as 3,331 people a year could be dying from the heat during New York City summers by 2080,” spiking from an estimated annual average of 638 heat-related deaths in the region from 2000 to 2006. The study is unique in that it accounts for the estimated future demographic changes, showing that overall population growth and a burgeoning aging population will deepen climate-related health risks and aggravate their related social inequalities. A separate study based on historical mortality trends, published by University of Hawaii researchers in Nature Climate Change, estimates that, globally, the climate crisis will drastically expand the number of people exposed to a killer-heat threshold: The proportion of the population around the world exposed to at least 20 extremely hot days per year would rise from the current 30 percent to 74 percent by 2100. Reducing carbon emissions might help, but the exposure rate would still likely increase to about 48 percent. As governments around the world move to revamp their social infrastructure to mitigate the threats of climate change, a growing body of research reveals an intricate correlation between climate change and public-health problems, often in the form of long-term disease crises. Although the public is more prone to panic over disasters like hurricanes and flooding, steadily intensifying heat waves and infections are slowly killing more of us. For example, heat waves in Chicago and Europe in recent years have been linked to thousands of premature deaths. As summers get hotter, even in the “developed” world climate change will fuel problems like asthma, virus outbreaks, and elevated allergen exposure. On the local level, communities are facing the negative-feedback loop of inadequate health-care access and the impoverishment of families suffering from weather-driven chronic conditions. It’s too late to reverse the threats of climate change, but the health data suggests that policy-makers can do more to protect public health than simply reducing carbon emissions through national regulations; we need microclimate-level adaptations to build resilience and community-based coping strategies. Columbia University researchers recommend investing in building solutions into the city’s infrastructure. To alleviate the so-called “urban heat island” effect in dense urban landscapes, buildings can be fitted with reflective or “green roofs” to absorb carbon and deflect sunlight. Surface temperatures can be cooled further by planting trees and greening spaces. Cities can help at-risk households cope with extreme heat with public cooling infrastructures, such as air-conditioned community centers for poor residents, people with disabilities, and seniors, who are often socially isolated. More fundamentally, Petkova notes, since climate-change effects may not be immediately apparent, “people need to know about the risks and take them seriously,” so the city should foster community-based education programs linking public and environmental health. Fortunately, when a community adapts to climate change by targeting underlying social deficits, quality of life rises in many aspects: Better asthma care for kids improves basic respiratory health, and ensures the social benefits of having healthier children attending schools. More robust heat-safety networks for seniors and people with disabilities will boost access to preventive care. Planting trees would restore the ecology of poor, distressed neighborhoods. Retrofitting housing for energy efficiency can reduce spending on utilities. Developing storm-water drainage systems and protecting against flooding and waterborne disease help strengthen local drinking-water infrastructure. Even building a stronger nutrition safety net will improve public health and environmental sustainability, in addition to preventing heat-induced emergencies. The problem of climate change is so huge it demands that we think very small about universal solutions. Risk of natural disasters often draws public anxieties, but far more disastrous is the neglect of our essential social infrastructure, which is critical not only for environmental adaptation but also to maintain a healthier urban social habitat. Collectively addressing climate change as a symptom and driver of social inequality not only saves lives but grows democracy in our own backyards.